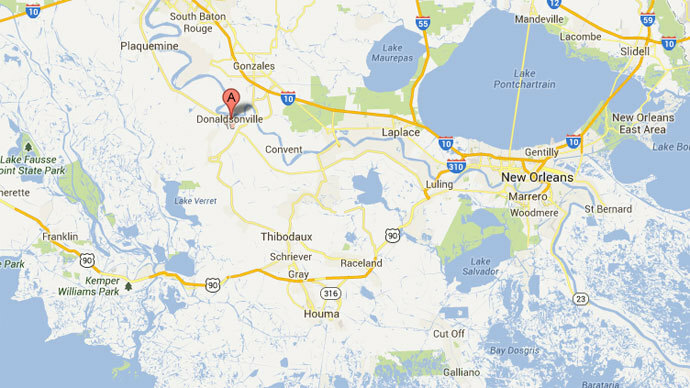 A chemical plant has exploded in Donaldsonville, Louisiana, less than two days after a deadly blast in the nearby town of Geismar. At least one person was killed Friday evening, and some seven injured. Sheriff Jeff Wiley told The Baton Rougue Advocate that workers at CF industries were running nitrogen through hoses from an 18-wheeler and pressurizing an unspecified tank. Though the tank was designed to hold a large pressure, it failed and exploded when the pressure built. CF Industries is the largest producer of nitrogen in North America, shipping out 5 million tons of the combustible chemical for agricultural and industrial use annually. At least eight victims were transported from the site of the blast, Wiley said, adding that emergency responders were still on the scene. 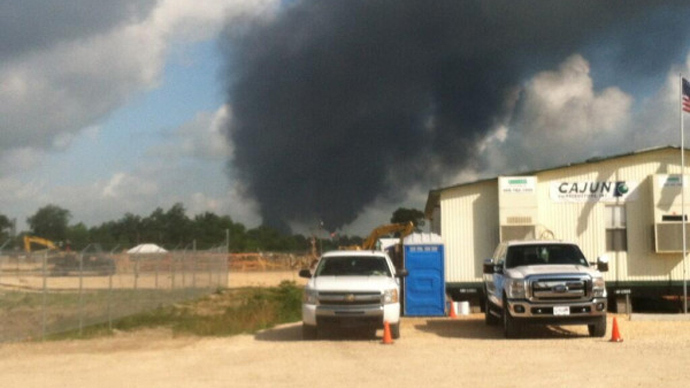 On Thursday the Williams Olefins plant in Geismar, Louisiana exploded, killing two people and sending 73 others to hospital. Eight remain in treatment 24 hours later. CF Industries also produces phosphorous and nitrogen, according to the company’s website. The plant stands at the foot of Sunshine Bridge, which was immediately closed following the blast. The blast was reported at 6:27 pm EST, at which point several ambulances and medical helicopters were dispatched. Louisiana State Police spokesman Doug Cain told the Times-Picayune that by 7:30 pm the fire had been extinguished and the “scene is reportedly secure.” Two people are thought to be critically injured. 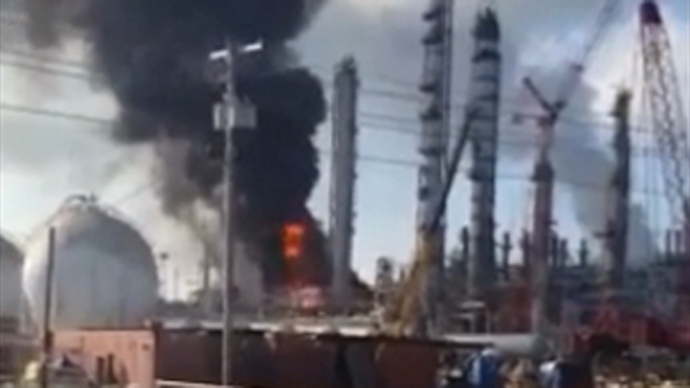 An explosion took place at the same plant in 2000, when three people were killed and eight injured. That blast resulted in 14 citations for safety and health violations. In November 1998, one employee was injured when a boiler filled with natural gas exploded. Caleb Maupin from the Workers World Party and the International Action Center believes safety is being neglected for profits in the ‘right to work’ state of Louisiana. “There is hostile anti-union legislation [in Louisiana] which makes it very difficult for workers to organize to form unions. As a result working conditions in such factories that are not unionized in states where there is a culture of non-union politics, it is much more likely that they would have that kind of accident,” Maupin told RT. “Really, industries are organized to make profits for small groups of people. The needs of the workers, their lives and safety are the last in the financial calculations,” he evaluated. “The infrastructure in the US is largely lacking, it is falling apart in many places,” Maupin said.